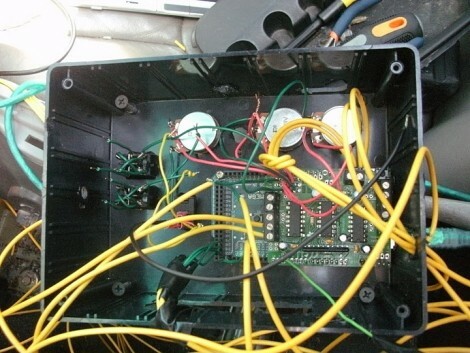 The Electronic Automatic Temperature Control Module on [Dan Mattox’s] 2000 Ford Taurus bit the dust. The junkyards in the area didn’t have a matching replacement and a new one is pretty hard to come by so he built an EATC replacement from an Arduino Mega. It includes a solenoid controller board for the vent selector, blower control, and new switches to control the power windows. He’s got the system up and running which is important because after removing the broken EATC the car was stuck blowing 90-degree air at full blast. He’s put together a demo and an installation video which we’ve embedded after the break but there’s also a photo album you can page through. The sketch that we developed to control the system is up at pastebin so get it while it’s hot.